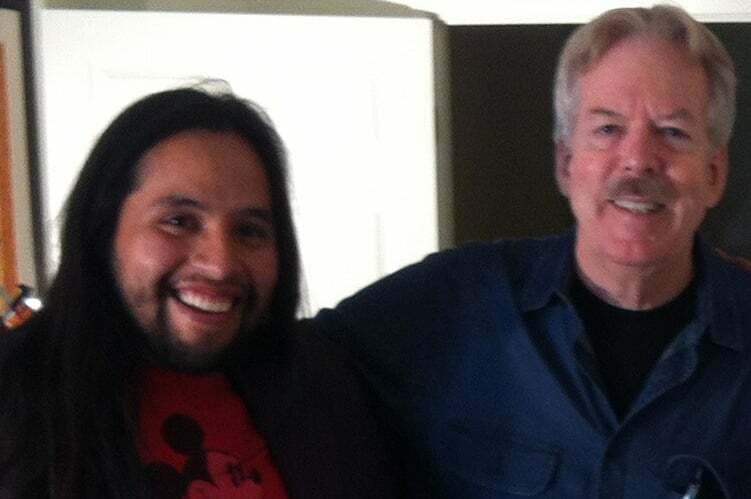 Last year I got the chance to interview Disney Legend, Tony Baxter. In a snippet from my full interview, he talks about 3 components that make up a successful attraction in theme parks. Check it out! Take something like The Jungle Cruise. It took you to a place you couldn’t go to without Disney. So you go into Disneyland and pay for admission and all of a sudden, instead of being in the suburb of L.A. with rows and rows of houses and commercial businesses, all of a sudden you are in the middle of an amazon jungle, and that for all intents and purposes, is virtually real. In fact I think in some ways it defines the term "virtual reality", now today you think of that in a gaming situation. You design with the attitude, “I’m going to transport people emotionally to somewhere they can’t visit” that they wouldn’t normally go to if I’m not there to engage them in that, whether it’s me doing it, or disney, or anyone else. The other one is real simple; thrill people. People will wait in line to be taken right to that edge of “just before death”. In fact we have this little saying “Fear - Death = Thrill”. So people have a strange desire to know what it’s like to fall off an airplane, but then you go open a parachute so you don’t land on the ground, splat. That’s the Tower of Terror, what would it be like to have an elevator go out of control? So “thrill” is another amazing building block. I think because Disney is very, very strong into emotions, the third one would be... (take for example) the transformation of a very simple carnival ride like Dumbo. If you took the dumbo figures off and just put a pod out there, it would be an octopus, or a tilt a whirl from a carnival. It’s transformative because children are engaged by the emotional connection with that dumbo, it’s non threatening, it looks to a 4 year old like the greatest thing in Disneyland, to get up there and float around. What would happen if you combine the thrill with taking you to a place you couldn’t go to before? That's sort of like Pirates of the Caribbean. Where you get a little bit of thrill going down (the waterfall) and all of a sudden you’re in a Caribbean city and there’s Johnny Depp as Captain Jack Sparrow or whatever, and you’re in a place you couldn’t go without disney transporting you (there). Then you got another component, where its thrilling, emotional, and a place you can’t go. Indiana Jones, where you got the thrill aspect of this out of control troop transport. You got this cool guy Indiana Jones who is as about as emotionally engaging as a superhero can get. Its transportive, you came to Disneyland in Anaheim and all of a sudden you are in the Delta Regions in India, exploring a temple and the year is 1935. When I was a kid the flying saucers were a ride that... wasn’t that fun, and it didn’t take me anywhere that I couldn’t go. It was just out in the middle of Tomorrowland, but it was a flying saucer! There was no way I could end my life without saying “I’ve flown a flyer saucer”. So it’s just that one thing, emotionally connected. It was something aspirational, something that’s in the bucket list of life, “someday I will fly a flying saucer”. Disneyland had an attraction that fulfilled that. With Luigi’s Flying Tires over in California Adventure, it’s a flying tire. Well it’s about as thrilling as the original one, it doesn’t really go anywhere, and not many kids are dreaming about flying on a rubber tire. So you now have something that’s very similar but it’s lacking all three of those components. So I don’t think it’s that successful. The saucers worked because they layered the concepts on to something we all aspire to experience. We aspire to go back, and back again (for) the discovery, the unknown, the surprises. Thrills on a roller coaster have a certain life expectancy, sooner or later they’re not drivers of why you’re going to a place, but you’re not waiting months and months thinking, “I can’t wait to ride that again!”. Other rides like Pirates and Haunted Mansion offer a lot of other components, emotionally engaging, they take you to interesting worlds you can’t experience without buying admission to disneyland.